#15300T BLACK SEAT COVER, fits 1970-75 with TALL LETTERING, ALL except Rascal and Chopper. REPRO has OEM correct 1" heat seamed top panel pleats, light silver "RUPP" lettering, has snaps installed. 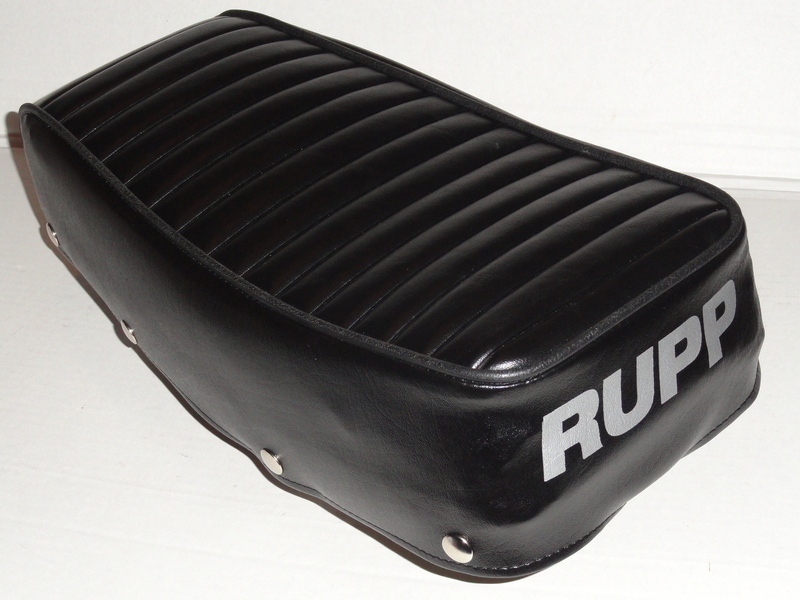 We make the best and most correct Rupp seat covers on the market.